The 2018 Oxjam Beeston Music Festival began quietly with the first of our ‘house concerts’: local composer and pianist Richard Hinsley played on a lovely sunny Sunday afternoon for thirty guests. There are more to follow – if you are interested in putting on an Oxjam House Concert, contact us via the website. Pop in and see us at the Beeston Carnival where we’ll have tickets and flyers for all events – Unplugged 22nd September, Takeover 13th October, Classical 17th November, Ceilidh 1st December; visit the website oxjambeeston.org or find us on Facebook. Oxjam 2018: Aiming for £100k! This year, if we have another successful Oxjam Music Festival, we have every chance of reaching the magic £100,000 in total for the eight years that Oxjam Beeston has been running – that’s our target anyway! Last year’s Team has already had their first informal get-together and we can announce that this year’s Takeover event will be on Saturday 13th October. Apart from the main Takeover event, there is likely to be a Pub Quiz, an Unplugged/Acoustic night (possibly September), a Classical concert (17th Novelber confirmed) and a Ceilidh, probably also in November. Now is not too early to be starting the process of planning such a large and complex set of events – and it’s not too early for you to volunteer to get involved. Firstly, if you want to perform, look out for ‘Registration’ round about June time; during August we’ll be calling for volunteers to help on Takeover day. Apart from any ‘specialism’ you might be able to offer, you need to be flexible and adaptable and prepared to help out in ways you hadn’t thought of! In terms of your time commitment, it is less important how much time you have available, than that you deliver what you promise! Finally, I’m sure you know this anyway, but all members of the team are voluntary and unpaid. If you think you have something to offer, please email me – colintucker18@gmail.com. I’ll arrange for you to meet with me or another member of the Team. £100K! Big ask! But we can do it, Beeston! By the time you read this, the Oxjam Beeston Music Festival will be over for another year and you will know that we have raised a record-smashing £22,000. Just to put that in context, last year we raised a creditable £14000 and the previous year, a brilliant £17400, which was our previous best and the highest raised at any Oxjam Festival in the country that year. This year, unsurprisingly, we have raised by far the most money of any Oxjam Festival in the UK. 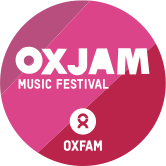 Oxjam Festivals take place in over forty different locations around the country, often large provincial cities and towns such as Bristol, Bournemouth and Glasgow, as well as different areas of London. So how come little old Beeston tops the lot? Maybe it’s something about the place: nice and compact, so for ‘Takeover’ you can walk between the furthest venues in less than a quarter of an hour; maybe it’s the fact that the folks round here are good-hearted and like their music in all the different forms that Oxjam offers; maybe it’s because we have some brilliant venues or the fact that, over seven years, now, we have established a format and a recognisable ‘brand’ that people love; and maybe it’s the Team! This year it all began way back in January when, amidst rumblings that it might not happen this year, a group of about twenty people met in the upstairs room at The White Lion and started making plans. In that group there was special expertise – in marketing, music production and local music – specialist local knowledge, experience of running the Festival before, and a mixture of ages and backgrounds. From there we gradually evolved a structure, with a team devoted just to the Takeover day, others handling individual fund-raising events, a sponsorship and marketing team and individuals looking after finance and IT. We are also especially proud of the breadth of music offered: on Takeover day itself we had a very well attended Operatic Arias concert, as well as DJs, Americana, blues, choirs, covers, punk, indie, rock, barbershop, folk, singer-songwriters, jazz and a silent disco! Our other events have included a rock night featuring Madeleine Rust (who organised it for us since they couldn’t make 14 October), an ‘Unplugged’ event back in July, a ceilidh and our regular classical concert. We are struggling to think of a musical genre or style that we missed! Oxjam Beeston has grown into a true community event. Lots of venues love being involved: our sponsors this year included Nottingham University (stage sponsors at Bartons), NET ‘the tram people’ (sponsoring the stage in The Square), local estate agents CP Walker (stage sponsors at The Crown), Foster Industrial (sponsors of The Hop Pole stage), The Breeze magazine and PN Design who did all our design work for flyers, posters and the programme. Of course, this year we had a special ‘headline sponsor’, The Star, who celebrated their CAMRA LocAle award. Apart from the Uni, other community or public organisations involved were Beeston Library (venue), Beeston Methodist Church, Chilwell Road (venue and rehearsal space for the Operatic concert), Beeston Parish Church (venue), Middle Street Resource Centre (venue and loan of equipment), Royal British Legion Social Club (venue), local councillor, Kate Foale (grant from NCC Divisional Fund), local folk club Second Time Around (‘Friend of Oxjam’ sponsor) and several schools (distribution of flyers). Overall we calculate more than two thousand people have been involved as either paying customers, non-paying (but ‘donating’) customers on Takeover afternoon, artists and volunteers. There were over 100 ‘acts’ on Takeover day, appearing on twenty stages across 18 venues over 13 hours. Have you got a hankering to help? If you’ve got some time and skills you think would enhance our team, look out for a ‘call’ in January. We need people with design, PR and IT skills, or who know about local music or ‘project management’. If you want to perform, registration will begin about May/June and if you just want to help ‘on the day’ visit our website in August to ‘sign up’. Because, remember, you CANNOT assume people who have done it before will have the time and energy to do it all over again – they are all volunteers and most have full time jobs to do as well! It’s hard work – but very rewarding. Help keep Beeston at the top of the Oxjam pile and contribute to raising astonishing amounts of money for the fantastic work of OXFAM. Look out for notice of a meeting in January 2018 and come along if you want to join our team. We’re just a couple of weeks away now from arguably the biggest cultural event in Beeston: the seventh Takeover, part of the Oxjam Beeston Music Festival 2017, in aid of OXFAM. THE VENUES: this year Bartons is back IN (three stages!) and our headline sponsor is the award-winning ‘Star’. We’ve got some new venues too: The Berliner,Totally Tapped, Beeston Library and Rudyards, along with many familiar Oxjam spaces such as Rye, Malt Shovel, Bean, Greenhoods, Pottle o’ Blues, The Crown, The White Lion, The Hop Pole, Middle Street Resource Centre, Chilwell Methodist Church and Beeston Parish Church – 20 in all! THE MUSIC: as ever, the great mix of styles and genres you have come to expect – and then some! Everything from nice, gentle acoustic folk, singer-songwriters, blues, Americana and ‘covers’, to Indie, folk-rock, DJs, rock and punk plus choirs and ‘Operatic Arias’. THE COST: this has got to be the best value anywhere in the area: you pay NOTHING to wander into a coffee shop or bar in the afternoon (but please make a generous donation: you won’t miss our volunteer collectors). For the evening (after 6pm) we’ve kept it to £8 if you buy in advance of the day (£10 on the day). Buy your advance tickets at Oxfam Books and Music on Beeston High Road or The Guitar Spot on Chilwell High Road. The ‘Operatic Arias’ event in the evening at the Parish Church, is separately ticketed – pick these up from Oxfam Books and Music or John Kirk Hi-fi (for a tenner or less if you qualify for a concession). Tickets for both, along with the Classical Oxjam concert (11 November) and the Oxjam Ceilidh (24 November) can also be bought on line at wegottickets.com (there is a 10% booking fee). THE SPONSORS: We are delighted to have some excellent sponsorship support this year, especially our headline sponsor, CAMRA LocaAle pub of the year The Star’, and ‘stage sponsors’ C P Walker, Estate Agents, NET (Nottingham Express Transport), the University of Nottingham and Foster Industrial. Others include PN Design and The Breeze. We also have a sponsorship grant from Cllr. Kate Foale (Nottinghamshire County Council ‘Divisional Fund’). Small local businesses and organisations, or individuals, might consider becoming a ‘Friend of Oxjam’ for a donation of £50 or more. You get one free wristband for the Takeover so you COULD decide to ‘spend’ a generous fifty quid for your ticket and earn a ‘Friend of Oxjam’ sticker or certificate to display on your social media or premises. We’ll also credit you on our website. For more details, to contact us and get up-to-the-minute news of the programme, go to oxambeeston.org or our Facebook page. Oxjam 2017: We’re on our way! This year’s ‘Oxjam Beeston Takeover’ will be on Saturday 14th October – please put that on your calendar! A strong team of volunteers is in the early stages of planning that big money-raising event in aid of OXFAM – meanwhile, our first event is ‘Oxjam Unplugged’ at the Middle Street Resource Centre on Saturday 1 July. Last year was the first time we’d staged this and it was so successful we thought we’d do it again! Back after making a big impact last year is the stupendous folk-punk phenomenon, Paul Carbuncle, playing trad folk like you’ve never heard it – original songs too. We’ll also get to hear the band ‘Foreign Accent’, playing Hungarian semi-acoustic folk rock (they’re great!) with support from Steve and Penny Benford (beautiful Celtic tunes on flute, guitar and banjo), young local singer-songwriter, Lucia Holmes and singer and host, Colin Tucker. Tickets are £6 and you can get them from the Resource Centre itself, Oxfam Books and Music, Beeston or online from wegottickets (+60p booking fee). There will be a Licensed Bar and food will available. The Centre is just a six-minute walk from Tesco’s/The White Lion – if you’re coming from further afield, trams and buses stop outside and there is some limited car parking on site. BANDS/SINGERS/MUSICIANS – if you want to play this year’s ‘Takeover’, check our website www.oxjambeeston.org as registration will be opening soon. Why, you may very well ask, is someone still going on about ‘Oxjam’ in January? Wasn’t that all done and dusted months ago? Certainly the highest profile event – the ‘Takeover’ – was in mid-October but there was another event – quite a lucrative one – in November (‘Classical Oxjam’) and then it has taken ages to gather in all donations and sponsorships, the last one not appearing in our account until 23 December. It was therefore not ’til early January that we could say with certainty that we’d accounted for everything and paid over a nice big chunk of dosh to Oxfam. You probably already know that our final total in 2016 was a not-to-be-sniffed-at £14 thousand (£14,020 to be precise) which we were able to announce in early December because we knew of money coming our way even though it hadn’t been paid in. To set it in a national context, that was the second highest amount raised in the whole of the country – in fact, in the last three years, Oxjam Beeston has been in the ‘top three’ every year (2014: 3rd, 2015: 1st, 2016: 2nd). Not that it’s about competing but it does indicate that Oxjam Beeston is just about the biggest Oxjam Festival, consistently, in the UK. After six years – and more than £60,000 raised for Oxfam – Beeston has become used to the Festival – and ‘Takeover’ in particular – as a unique and much-anticipated community event. But like the Carnival. ‘Party in the Park’, Christmas lights switch-on and, most topically, The Chinese New Year Celebration, it can’t be taken for granted. As we all know, and as we have seen, the Borough Council has no funds to pay for these kinds of events – who knows how the arms-length company, Liberty Leisure, will handle anything like this going forward? ‘The Party in the Park’ 2016 was heavily sponsored to make it feasible and happily the weather was kind to the Council and all of us. As for the others, they are either run by volunteers or at the mercy of empty coffers at the Council and in neither case can they be taken for granted. This is very sad, of course, and extremely short-sighted of whoever is responsible, be they local or national politicians. It isn’t just about giving people a great time, the Oxjam Takeover, for one, clearly brings in people to the town who are in celebratory and generous mood. Local venues and traders are keen to be involved and happy to welcome paying customers, whether they are buying drinks or food, even if they are not directly involved. So what of Oxjam Beeston 2017? I have made it clear that I will NOT be the so-called ‘Takeover Manager’ this year, although I do hope to run one or two of the ancillary fund-raising events. Perhaps others of you out there might also consider getting involved as ‘gig makers’ (as Oxjam calls them) that is organisers of one-off fund-raising events. However, if there is going to be the ‘jewel-in-the-crown’ Takeover event, someone with the time, skills and energy to commit to the project needs to step forward. Otherwise, folks, it ain’t gonna happen! And then, we will sadly be able to complete the phrase “They think it’s all over – it is now!” Let’s hope not. The Oxjam Beeston Takeover will happen again on Saturday 15 October, with tickets already on sale at Oxfam Books and Music (Beeston High Road) and The Guitar Spot (Chilwell High Road) at an ‘early-bird’ price of £8. You can also get them online from wegottickets.com (80p booking fee). On the day, a limited number of tickets will be available from £10 so get in early to be sure and save a bit of cash! We will also have ‘Takeover’ early-bird tickets for sale at our Saturday morning busking stall. Leading up to the Takeover, the Oxjam Beeston Music Festival has two events: The ‘Oxjam Introducing…’ night at The Beeston Youth and Community Centre (‘West End’) on Friday 16 September, when we’ll have a programme of under-19 artists and bands – just £3 on the door. The ‘Oxjam Ceilidh’ happens on Saturday 24 September at Christ Church Hall – tickets are £10 apiece from Oxfam Books and Music, online at wegottickets.com (£1 booking fee) or from our Saturday stall. Music and ‘calling’ will be provided by the ever-popular Beeston Ceilidh Collective. Oh, and there’s a bar for you thirsty hoofers to slake your thirsts! The Festival finishes with ‘Classical Oxjam’ at Beeston Parish Church on Saturday 12 November. Tickets already available for £8 (concessions £6) from Oxfam Books and Music, The Guitar Spot, online at wegottickets.com and from our Saturday stall. Look out for us at the Heritage Weekend opening on Saturday 10 September, 10 am at Bartons where we’ll be providing some music – we’ll also be at The Boat and Horses later in the day for a folk music session. Saturday mornings, 11am to 1pm: we’ll be busking, selling tickets, collecting your pennies and giving you goodies and info.